Can’t upload image of a transformer to EE.SE right now. 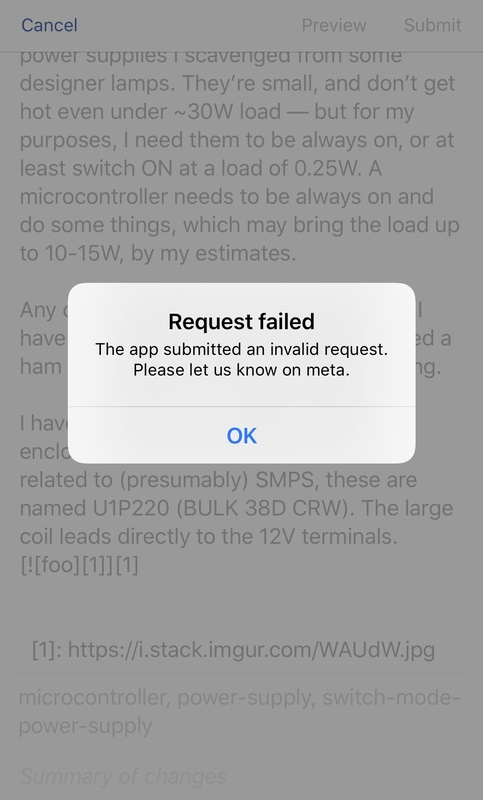 App says “invalid request”. How to get embedded images saved on server? What's the proper way to upload images?